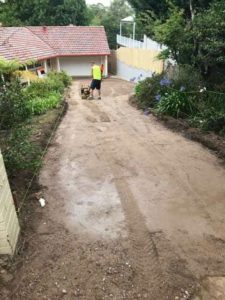 Here the StoneSet Team used our Kirribilli Red blend to create a fully permeable driveway. 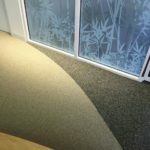 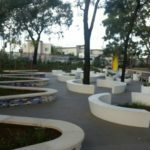 The local Ku Ring Gai council had specified a fully porous hard surface was required, this council on Sydneys north shore having specifically high requirements on hard surface landscaping ratios. 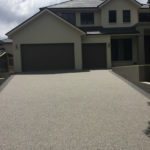 As there is different amounts of stone used, the price varies between Overlay and more expensive permeable / porous driveway options. 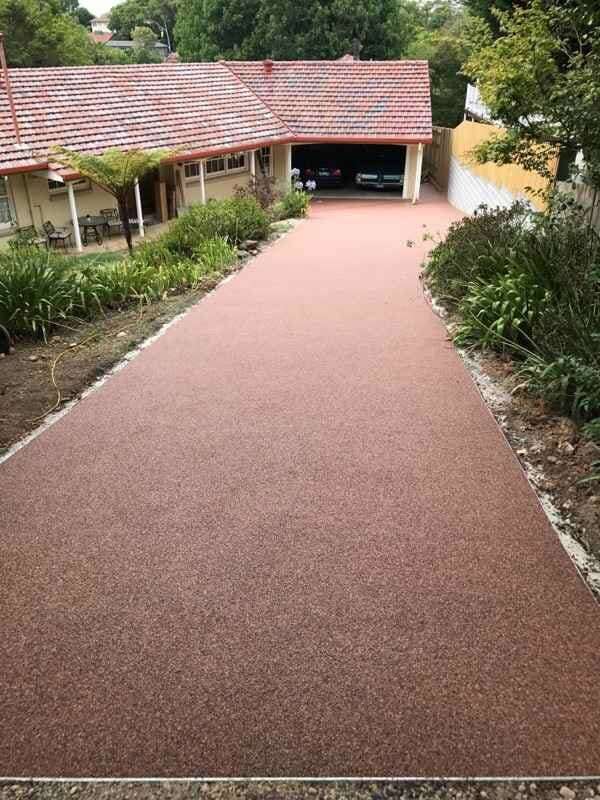 A guide price for StoneSet Overlay would be between $100-150/m2 installed on an existing concrete surface or $140-200/m2 for fully porous installed on a prepared road-base. Because all StoneSet products are fully porous/permeable, the new surface allows water to penetrate and flow through to the ground below. 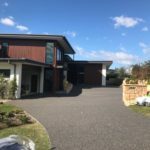 Permeable driveways are increasingly being specified by architects looking to increase the usable surface area on the property without being penalised with hard surface restrictions. 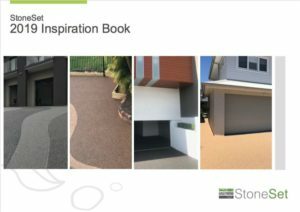 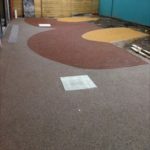 The StoneSet installation team, take a lot of pride in their work and these before, during and after shots truly reflect their talent.